Hummingbirds are some of the most fascinating creatures on earth. Found to be living throughout the western hemisphere the diverse family of hummingbirds consists of more than 300 species. The family includes the world’s smallest bird, the Bee Hummingbird of Cuba, and some of the strongest migrants, like the Rufous Hummingbird, which commences the longest avian migration in the world. These birds are understood to have a great memory and they have a high body metabolism, since they can hover at a place with their wings-flapping rates around 50 times per second. To sustain this supercharged metabolism, the hummingbirds tend to feed every 15-20 minutes and visit almost 1000 flowers a day to feed on nectar which provides them the required energy. A typical habitat of hummingbirds consists of trees, flowers and shrubs that can provide shelter and produce nectar which the birds feed on.The sight of these tiny hummingbirds flitting through the air and feeding on the nectar is a treat to watch and it’s also possible that you can invite these beautiful birds to your own yard. Hummingbirds are attracted to certain species of flowers, since they depend on the flowers to feed on their nectar and support their fast body mechanisms. The birds also act as a great pollinating agent because they tend to visit thousands of flowers in a day and they carry pollens on their long and needle-shaped beaks while collecting nectar, hence helping in plant reproduction. Bright colored flowers that are tubular in nature and hold large amounts of nectar are particularly attractive to hummingbirds. These include perennials such as bee balms, columbines, and other flowers, like Lupine, Foxgloves, Fushia, Petunia and others. You can have these flowers in your yard, which can attract the hummingbirds. These are annual and perennial herbaceous plants whose flowers are tubular and bilaterally symmetric, with a narrow upper lip and a wider lower lip. 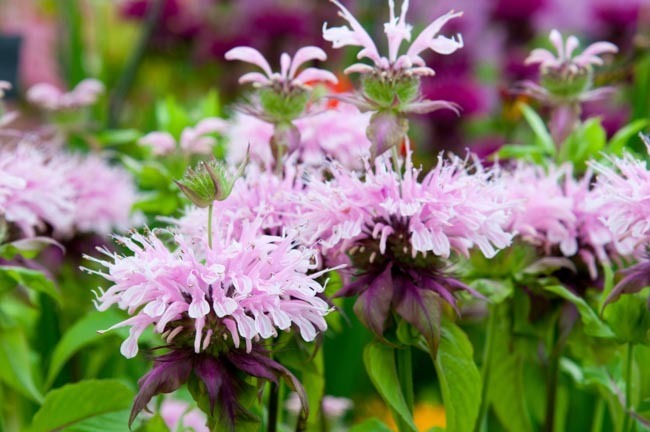 The Bee Balm flowers are bright-colored and come in various colors, like red, pink, and light purple. Adding to the bright color, the Bee Balm tree and flowers, being from the mint family produce minty aroma in its surroundings. Hummingbirds are attracted to these Bee Balm flowers, especially the red colored and scarlet clusters, because the hummingbirds are easily attracted to bright colors. The other attribute that attracts the hummingbirds towards the Bee Balm flowers is the amount of nectar. You can plant these flowers in your yard to attract the hummingbirds. A perennial cottage-garden classic, lupines offer spires of flowers and generally bloom in early and midsummer. This flower is ideal or attracting hummingbirds because these flowers bloom before other flowers. 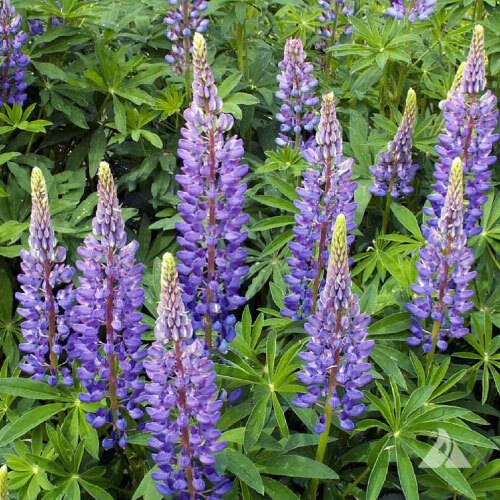 Flowers of Lupine grow in blue, pink, and white colors which look beautiful in gardens and yards. The good thing about Lupine is that it’s a drought tolerant plant and grows in areas with sunlight. These are perennial plants that are found in woodlands, meadows, and at higher altitudes all across the Northern Hemisphere. 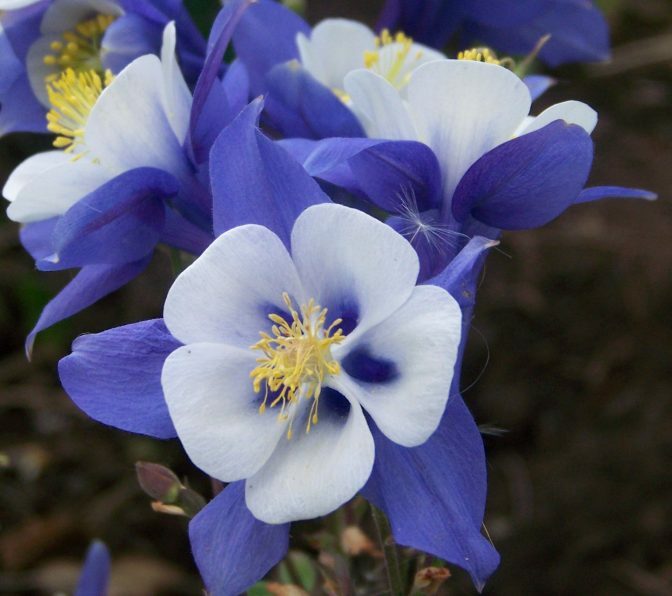 Columbines are available in almost all the colors of the rainbow, however the most common colors of the flowers are blue, purple, and pink. The plant thrives in areas with partial sunlight and can grow more than 15 inches tall. 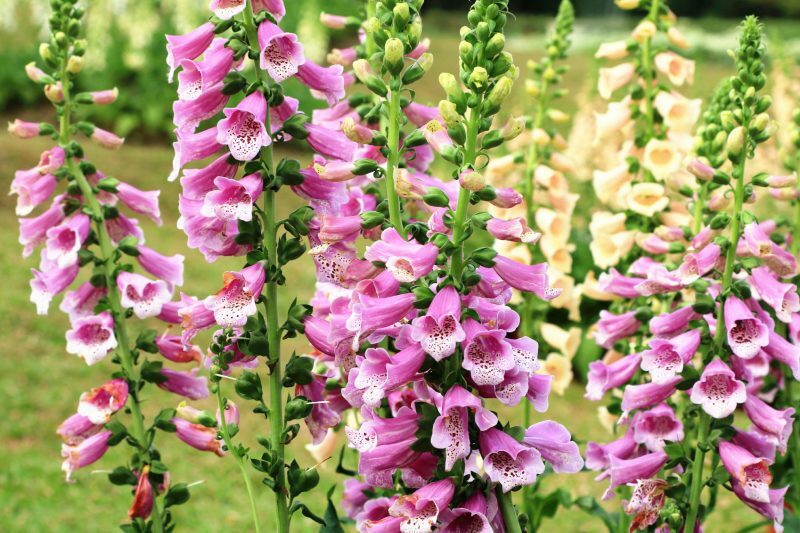 Ideal to grow in gardens, foxgloves are biennial and perennial plants which bear tall spikes of purple ,pink, yellow, or white tube-shaped flowers that basically grow in the summers. The flowers look very beautiful and hummingbirds tend to get attracted by its appearance. However, these plants have toxic properties that can affect humans, which is why it’s suggested that you stay careful around these plants. 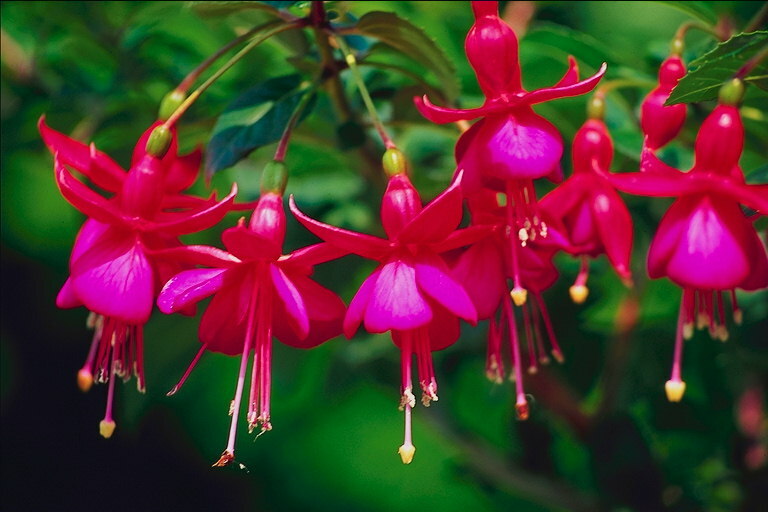 A genus of flowering plants that contain almost 110 recognized species, Fuchsia commonly grows in Central America and South America. The flowers of the plant look like tear drops and are very decorative. These flowers grow throughout the summer and autumn, and throughout the year in some tropical species. The flowers are mostly red, white, blue, purple, orange and yellow in color. 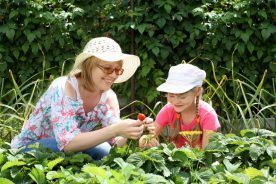 These are easy to grow plants, which can be grown in any conditions. They occupy a small space and are ideal for growing in baskets, containers, and other small spaces. These plants have flowers which are in the shades of white, pink, purple, red, and blue. 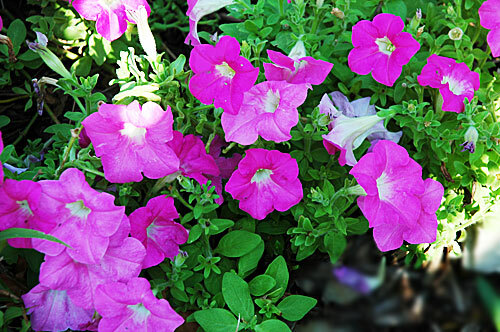 Petunia is known to produce larger amounts of nectar, which is why the hummingbirds are attracted towards them. Hummingbirds tend to make their nests near abundant food and nectar sources. Once you’re done with planting the flowers that attract the hummingbirds you can now shift your focus on planting trees that could provide shelter to these beautiful birds. There are some specific trees which attract the hummingbirds to nest in. Native to North America and some parts of the Western Hemisphere, Tulip Poplar trees are some of the tallest hardwood growing in the region. These trees grow yellow and orange blossoms which resemble tulip flowers, also the shape of the flowers resembles the tulip flower. 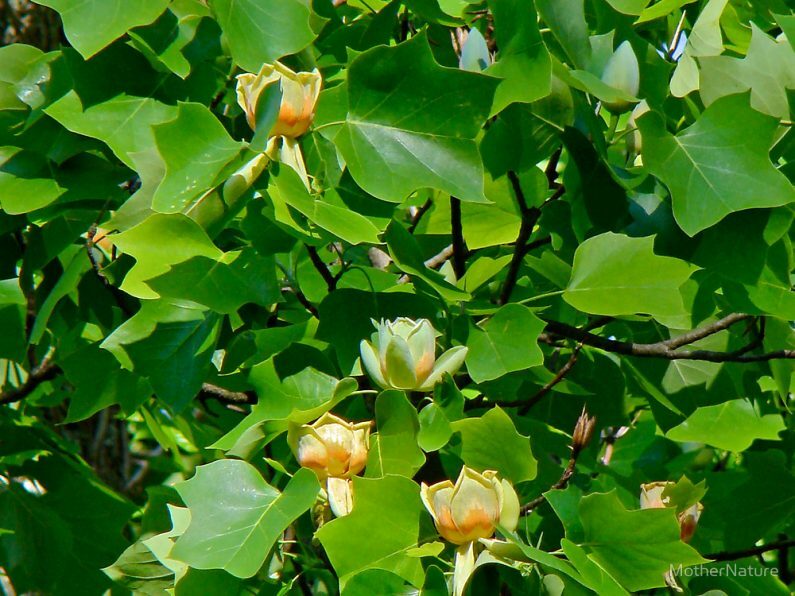 Tulip trees attract hummingbirds to make nests and are a must have in your yard if you want to attract hummingbirds. 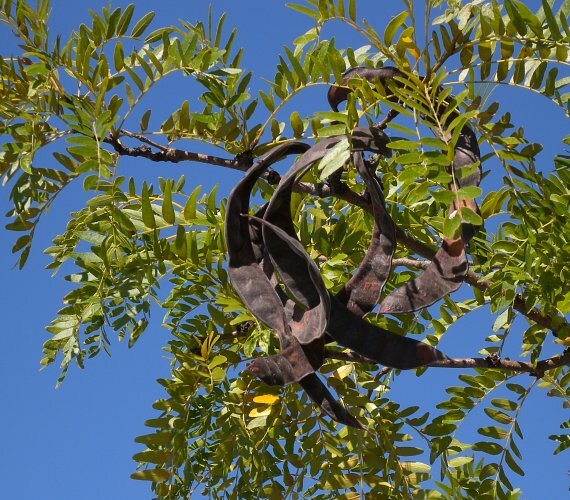 Locust or Honey Locust tree is a popular tree which could be easily grown in urban areas. This tree can tolerate drought, heat and even flooding, it can thrive in poor soil conditions and can be a good choice to grow in your garden. The tree gets fragrant yellow-green flowers in the spring which attracts the hummingbirds. Hummingbirds and other pollinating agents like bees and butterflies tend to be attracted to the native honeysuckle. If planted in complete sunlight or partial shade, with soil which is damp then the plant will see flowering. The flowers are orange or red, trumpet-shaped which form in clusters amongst the blue and green leaves that grow throughout the winters. This is a diverse genus of flowering trees and shrubs that is mostly used for its medicinal properties. 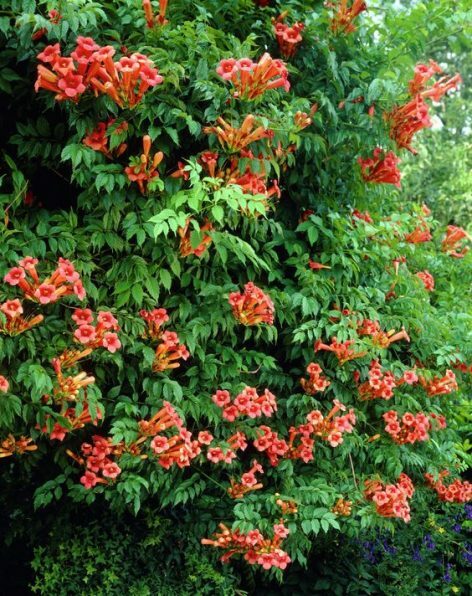 These are tall shrubs and can withstand heat and are good to grow in hotter regions. 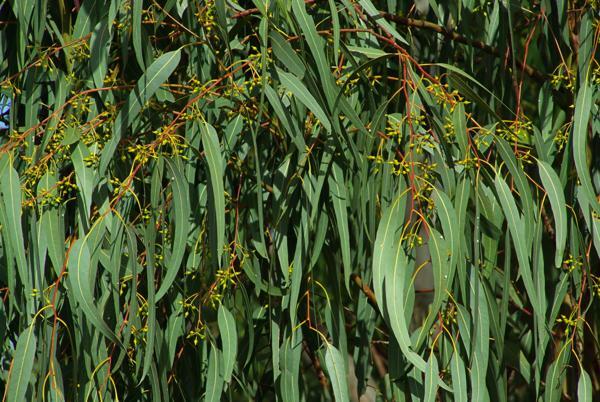 The flowers of the Eucalyptus trees are scarlet red in color which are good at attracting the hummingbirds. The Hummingbirds also tend to make their nests in the Eucalyptus trees. The Red Buckeye, a native of the southeastern United States can be a small tree or a tall shrub. This tree produces red flowers which are very attractive. 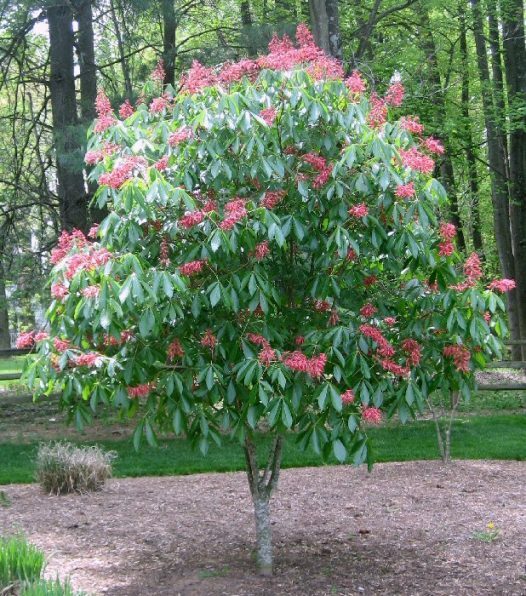 The Red Buckeye can be grown in all soil textures and is naturally pest resistant. Its flowers grow in the springs and last for several weeks and are a main attraction for the hummingbirds, butterflies, and bees. 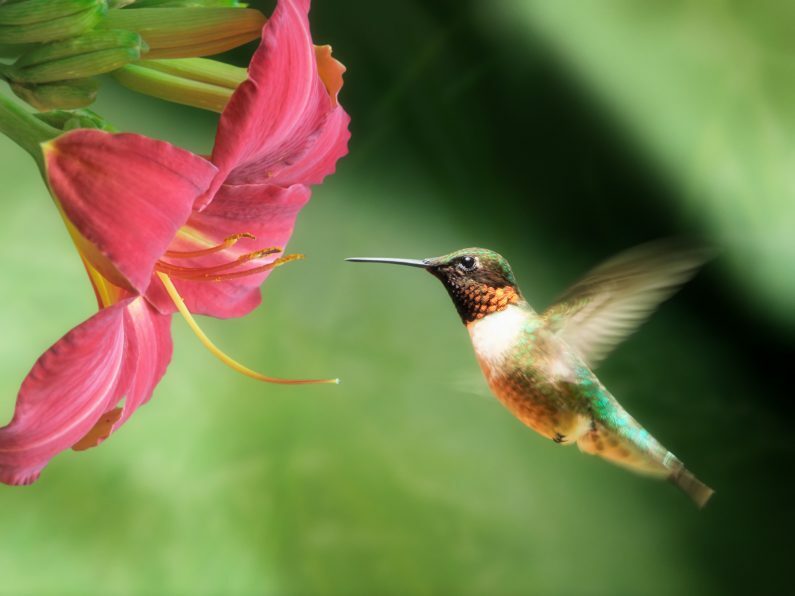 After adding the flowers and trees that attract the hummingbirds and provide them with the required nectar, you can also utilize artificial nectar for a hummingbird. The feeders provide the hummingbirds with artificial nectar which is critical to their survival and also provide them required energy during migration. These feeders are easily available and are great in attracting hummingbirds to your yard. The feeders are specifically designed to hold the artificial nectar solution and come in a variety of styles, sizes, and colors. However, it’s a matter of personal choice while selecting feeders, but it’s important to choose one which is easy to fill, easy to clean, and are sturdy enough to last for some time. 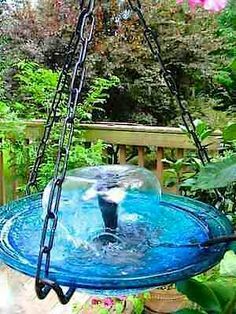 Gravity fed or inverted feeders are the most common feeders used by people to attract the hummingbirds. These feeders are filled from the top with the nectar solution and have openings at the base to feed the hummingbirds. 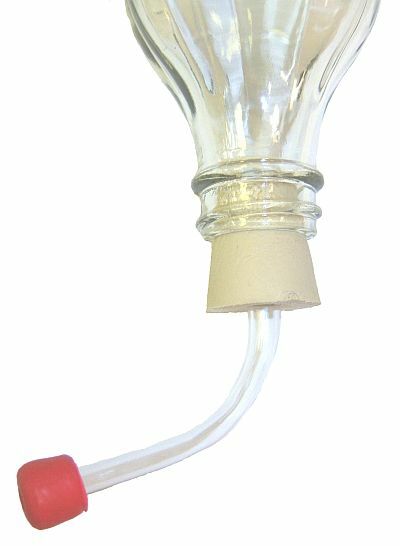 Inverted feeders generally have great capacity and can hold a great amount of nectar. These feeders are very easy to install on any hanging branch of a tree or can also be hung outside a window. Most of these feeders being made from sturdy plastic or glass are good at indicating the levels of nectar remaining in them. However, these feeders come with some disadvantages, like they’re prone to leakage which can attract insects and they can be difficult to clean. These feeders have been around for a long time and are very popular among hummingbirds because they assume the tube structures as the tube of nectar bearing flowers. The feeders are small in size and can be hung from any place where the hummingbirds could reach them easily. 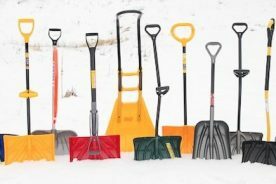 They come in various colors and look very attractive. However, due to their tube structure they can attract other insects to them as well, like bees, butterflies, and others. The other problem with these feeders are, these are prone to leaking and the capacity of holding nectar is less. 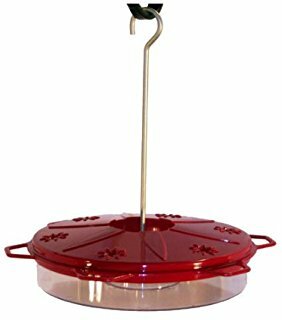 These are small and sturdy feeders which look like saucers or basins. The main advantage of the basin feeders is that they provide safety from bees and other insects. These feeders are small and are easy to assemble, fill, and clean when compared to other feeders. Basin feeders are generally mounted on poles and railings to make them accessible to the hummingbirds. The problem with these basin feeders are, they can be easily missed being seen by the hummingbirds because of their small size. These feeders also have very less capacity and you need to refill them frequently. 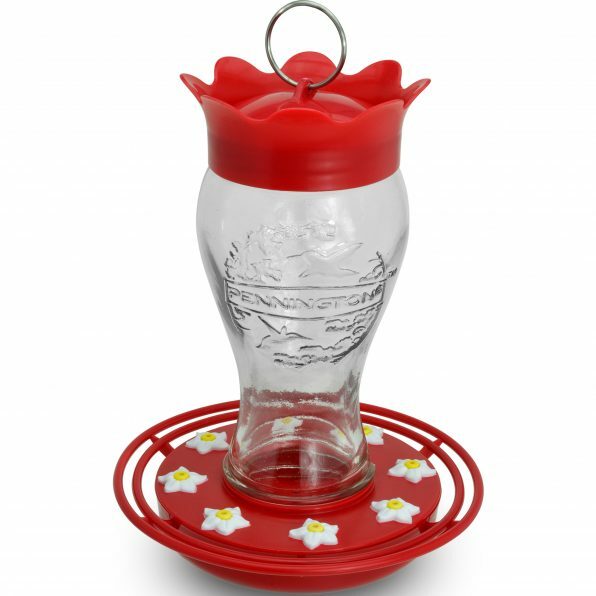 These are some types of feeders which you can use in your garden to attract the hummingbirds. The feeders are easily available in online stores, like Amazon and eBay, you can also find them at major retailers, bird supply stores, and pet stores. 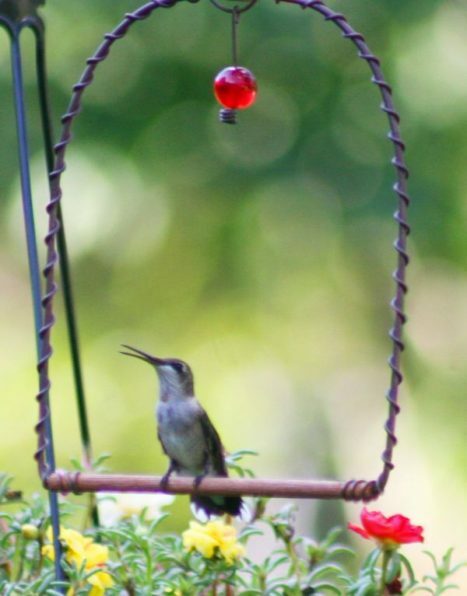 After selecting a feeder that’s best suited for your yard, now the most important thing is to fill them with artificial nectar that the hummingbirds can feed on. Natural flower nectar consists of 21% to 23% of sucrose, which is regular table sugar. This is why nectar can be easily and inexpensively produced in the kitchen. The recipe of artificial nectar only requires refined white sugar and water. Preparing nectar is very easy all you need to do is add and mix one part of sugar with four parts of water and boil it to a point when the sugar mixes completely killing bacterias present in the solution. After boiling the solution allow it to cool and then add them in the feeder. You should never use honey or artificial sweeteners to prepare nectar as they tend to ferment when kept outside. Fermented honey can adversely affect the hummingbirds and can cause sores in their mouth. You shouldn’t use food colors for your nectar because they can be sometimes poisonous for the hummingbirds. Hummingbirds are very particular about cleanliness and tend to discard feeders which are not clean and old. This is why it’s recommended that you clean your feeder and change the nectar every 3-4 days and even more frequently in hotter seasons. Clean your feeder with hot water on a regular basis and if possible clean the feeder with vinegar solution once in a while, this will keep the feeder clean. Hummingbirds are generally attracted to bright colors, like yellow, orange, pink, purple, and others, but it’s believed that they’re attracted to red more than any other color. Red seems to be an indicator of the presence of food for these tiny birds. You can use ribbons of red and other bright colors to decorate your yard, this increases the chances of hummingbirds visiting your place. Having perches in your yard can provide a plenty of space for hummingbirds to sleep and rest. Hummingbirds often perch near their feeding areas to either take rest or to survey the area. 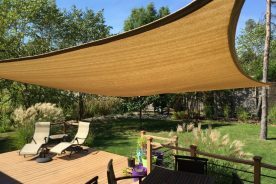 It’s recommended that you leave some open perches for territorial birds while you can place other perches in areas which can protect them from predators. Hummingbirds, apart from feeding on the nectar of the flowers, feed on pollens and insects which provide them the necessary proteins. The hummingbirds are specialized aerial hunters and can feed on flying insects and can also feed insects from the spider webs. 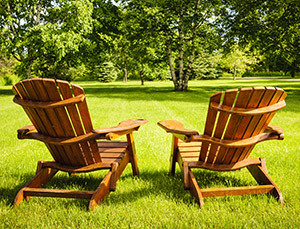 This is why it’s recommended that you don’t use pesticides and insecticides in your yard. Hummingbirds love water; they like to bathe frequently and look out for pools or even the water droplets from leaves. You can have a small fountain or a misting device in your yard, which has water flowing all the time. Misting devices are especially very attractive for the hummingbirds and to attract them you can place some of these devices in your yard. Hummingbirds are magnificent creatures; having them in your yard and feeding them will not only make your yard beautiful, but also will provide the hummingbirds with the necessary energy that these tiny creatures need to migrate. If you want to invite these beautiful birds to your yard follow the above tips and enjoy the humming sound of these tiny creatures in your yard.